1. Fort Myers got its name as an engagement present. In 1850, General David Twiggs was put in charge of a small fort on the Caloosahatchee River. His daughter, Marion, fell in love with one of Twiggs’ staff officers, Abraham C. Myers. Twiggs liked the man and called the town “Fort Myers” to honor his future son-in-law, and the two lovebirds were married in 1853. The Myers eventually moved to Germany, but today Fort Myers is a thriving city of 68,000 sun-loving people. 2. Out of all the cities in Florida, Fort Myers has the highest total number of days with sun. Sorry Miami. Better luck next time, Key West! 3. 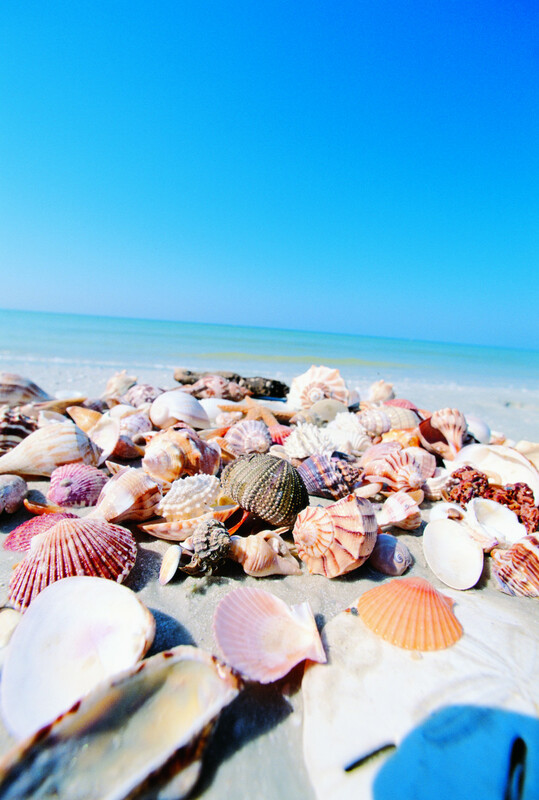 There are more shell varieties on these beaches than anywhere else in North America. 4. Captiva was the full-time home of artist Robert Rauschenberg, and is a haven of boutique art galleries and eclectic artists. Milton Earnest (aka Robert) Rauschenberg was a contemporary American painter and graphic artist whose early works anticipated the pop art movement. Famous for his massive mixed-media art, Rauschenberg moved to Captiva in 1968 when there was only one telephone to the mainland, one policeman for about 50 families, and only a ferry to get on and off the island. Today, Southwest Florida is home to more than 125 art galleries, studios, and museums. And it’s Rauschenberg who’s largely responsible for the artist culture that can be found on Sanibel and Captiva in particular. 5. 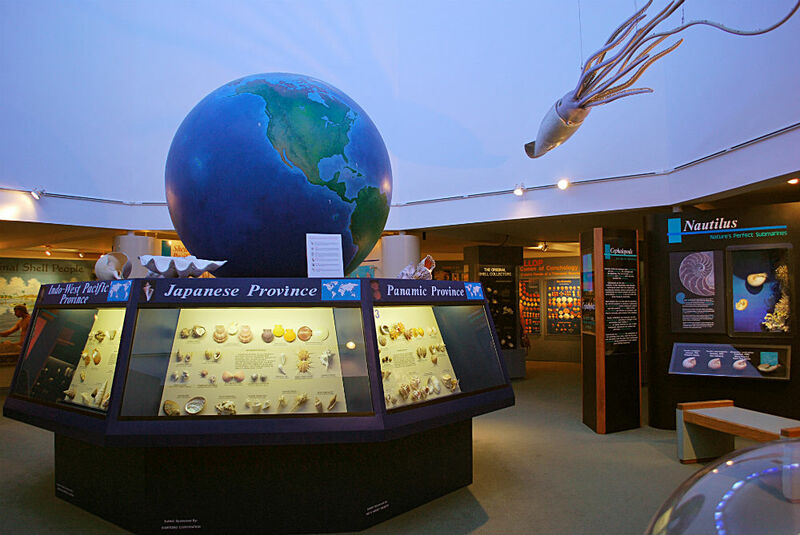 Sanibel has the only shell museum in the US. It’s official: The Bailey-Matthews National Shell Museum is “the only museum in the United States that is solely devoted to shells and the mollusks that make them.” Going way beyond your grandmother’s shell collection, the museum employs a “world-renowned malacologist” (super-smart mollusk expert) and two marine biologists to teach visitors all about these natural wonders. 6. The Spanish-American War started with a telegraph into Punta Rassa. In 1898, one of the country’s main telegraph stations stood where the Sanibel Causeway is today, in Punta Rassa. This cable, leading all the way from Florida to Cuba, brought news of the sinking of the USS Maine in Havana Harbor, which outraged the nation and sparked the beginning of the Spanish-American War. 7. Fort Myers received electric light in 1898, courtesy of winter resident Thomas Edison. Though many of the local folks didn’t like it because it kept the cows up at night. Change, even for the better, can be hard. 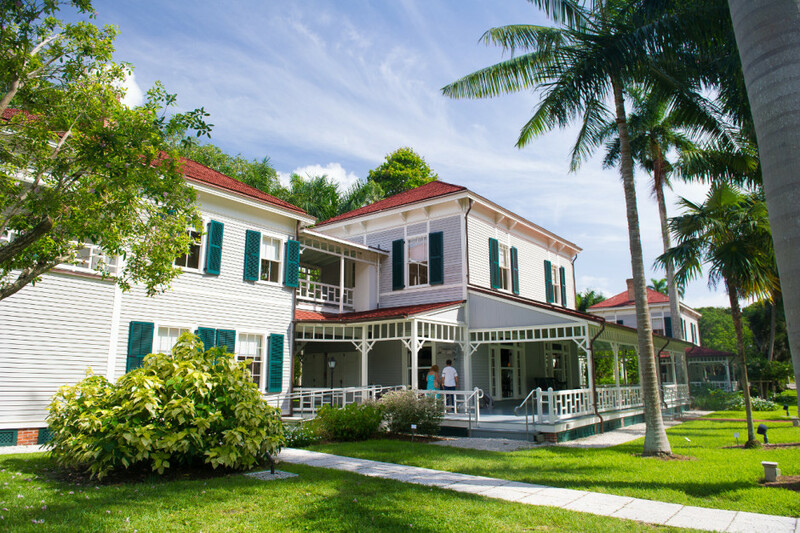 Learn all about it at the museum on the grounds of the Edison & Ford Winter Estates…and stick around to check out the botanical gardens, event facilities, and historic buildings at this special site. 8. There’s prime camping right on Sanibel Island. Periwinkle Park & Campground may be your best budget option for staying on Sanibel. It’s walkable to the beach and is located just a little over a mile from the lighthouse. Plus — and it’s one of those things you have to know about to ever find — hidden away at Periwinkle is a mini-zoo, where you can meet a white macaw named “Baby” who loves to have her neck massaged, and a family of playful squirrel monkeys from Guyana. 9. There’s access to 190 miles of unforgettable canoe and kayak trails. 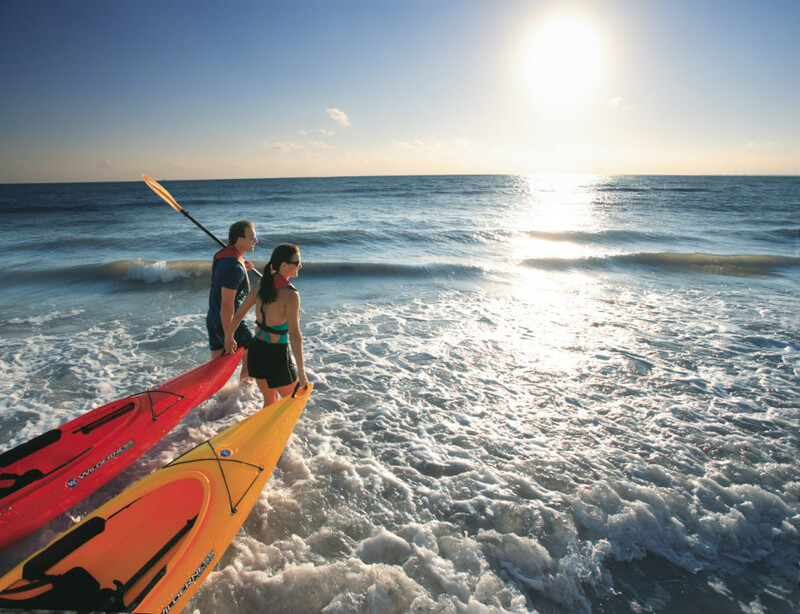 Perfect for kayakers of all levels, the Great Calusa Blueway paddling trail runs through the Gulf of Mexico’s open water and down through the bays of Sanibel and Captiva, where the coves, rivers, and backwaters are home to sheltered mangroves — dolphin and manatee sightings are common. 10. There’s a fancy feather factory in Fort Myers. If you’ve ever found yourself saying, “Gosh, I could really use some purple ostrich feathers!” then Ft. Myers is your place. Established in 1906 and spanning four generations, the SA Feather Company has been a wholesale supplier of exotic feathers for over a century. They make boas, headdresses for Vegas dancers, Mardi Gras float décor, wings, and even feathered wigs. How fabulous! 11. Thomas Edison planted McGregor Boulevard’s palms. 12. Greater Fort Myers is the national headquarters for Chico’s Apparel and Hertz Rental Cars. When Hertz Rental Cars swallowed up Dollar Thrifty Automotive Group in 2012, the rental car giant needed a new home for its growing family. Enter Estero (just south of Fort Myers). The first Fortune 500 Company to call the area home, Hertz brings over 700 jobs to Lee County. In fact, Hertz and Dollar Thrifty have more employees in Florida than in any other state except California, and Florida rents more cars per capita than anywhere else in the US. Chico’s, on the other hand, is Fort Myers born and raised. In 1983, Marvin and Helene Gralnick opened the first in Periwinkle Place on Sanibel Island. Today, Chico’s is an apparel giant housed in a 146,000-square-foot worldwide headquarters on Fort. Myers’ Metro Avenue, and it employs 2,000 people in the area. Job seekers rejoice! 13. There’s a 7,600-acre wildlife refuge on Sanibel. Part of the largest undeveloped mangrove ecosystem in the US, the J.N. “Ding” Darling National Wildlife Refuge is home to more than 245 bird species, including a few that are completely unique to Southwest Florida. Look out for the roseate spoonbill — it’s similar in appearance to a flamingo, but its pink color occurs naturally rather than from a crustacean-rich diet. The refuge is also a popular paddling, hiking, and biking spot and hosts free seasonal programs and tours. 14. Captiva is home to the world’s smallest fishing museum. Stop by Jensen’s Marina for a visit to John Jensen and his brothers, David and Jimmy, and get a look at their collection of antique rods and reels from the area, photos of famous folks who loved to fish there, and gear that includes baseball legend Ted Williams’ tackle box. Afterwards, step outside for a gander at the manatees who like to hang out at the marina.